Compact, uni-body designed to give housing maximum strength with minimum weight. It was made of durable , highstrength, light weight aircraft alloy. 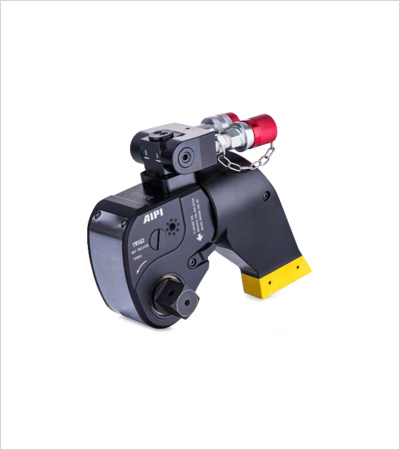 Dual rotation direction ( 360°X-axis * 180°Y-axis ) hydraulic swivel manifold, connect with screwed quick couplings. With automatic pump, square drive wrench could automatic to tighten or loosen. Accurate anti- reverse pawl improved the preload accuracy, and could be quick released. Oxidation treatment provide excellent corrosion protection and durability in harsh environment. Selcet the Right Torque Choose your AIPI Torque Wrench using the un-tightening rule of thumb: Loosening torque equals about 250% of tightening torque.